It's time to spread your editorial brand online with eye-catching and professional-looking visuals! 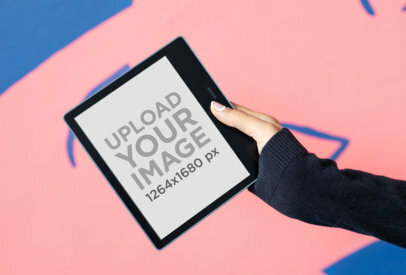 Start customizing Placeit's new Kindle mockups and in just a few minutes have a whole set of unique visuals to upload to your social media pages and POD brands. What are you waiting for? Try this Kindle Paperwhite mockup and boost your ebooks' sales in no time. Show your eBook designs to the world with Placeit's eReader mockups. They're amazing, we feature the most up-to-date and popular Kindles in the market. Just customize the settings to your liking and you'll be ready in no time. Your audience will adore your eBook designs. This template features the Amazon Oasis, the coolest eReader yet! Show your audience your amazing eBook covers and designs. Placeit offers the best mockup featuring the most popular and new Kindles. This one feature a Kindle Paperwhite, known for its simple design that will make your designs shine. Edit the settings to your liking and you'll be ready in no time. Try it out now. Create unique visuals to promote your ebook covers online! With Placeit's Kindle mockups, it's easy and fun to customize a whole set of attractive visuals for your marketing content. What are you waitinf for? 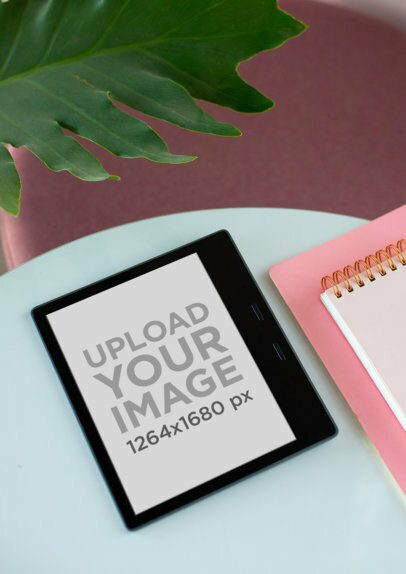 Start now by putting your ebook cover into this Kindle Paperwhite mockup, a simple but elegant way to spread your brand online! If you're looking to promote your ebook covers in an innovative way you should try Placeit's Kindle mockups! Choose as many visuals as you like an in just a matter of minutes you can have a whole unique set of attractive content to upload to your social media pages or POD websites. Are you ready to try it? Start by customizing this Kindle Paperwhite mockup with a warm vibe. 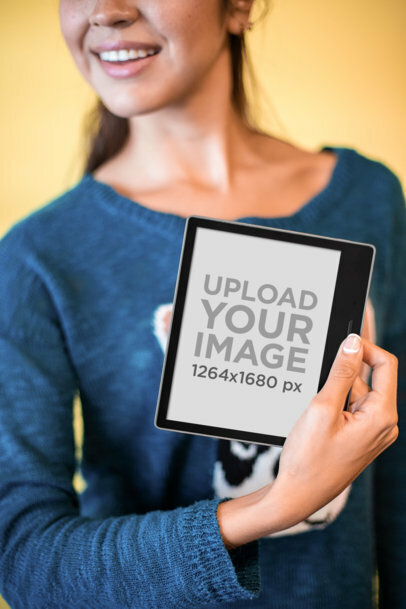 Make outstanding visuals to promote your ebooks online! 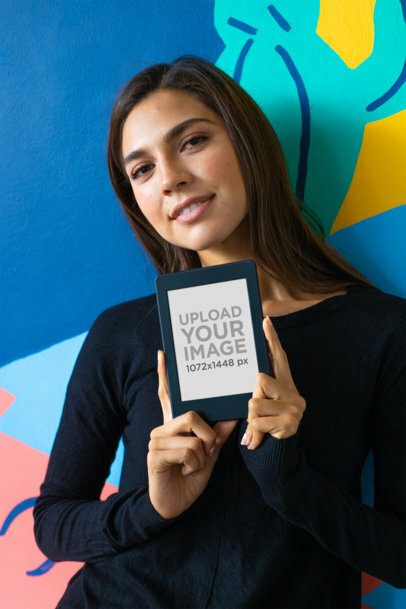 With the new Placeit's Kindle mockups, you can fully customize in a matter of minutes your favorite mockup, like this one featuring a cute woman holding a Kindle Paperwhite. What are you waiting for? 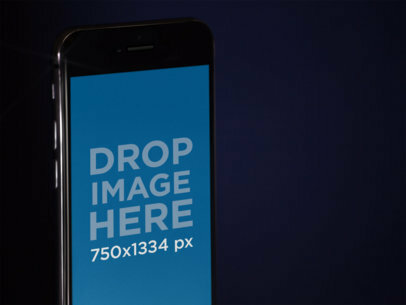 The easy and professional visuals you've been looking for are finally here! Show your customers a real vision for what your eBooks look on an actual Kindle Paperwhite. How? With Placeit's amazing Kindle Mockups! It's so easy, choose anyone you like and just start editing your mockup. You'll be ready in no time. This will be perfect for your website or social media. Cool, right? Try it out now! 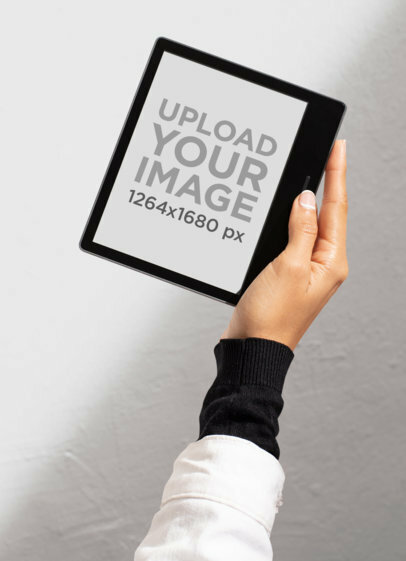 Create an amazing visual to promote your new digital text or e-book with this Kindle mockup from Placeit. This picture features an antique wooden table that shares a mystic aura, ideal to promote a fantasy book, whit an air of modernity, thanks to the light digital device. You don't need any photo editing software, just upload an abstract of your text and show everyone how will it look in a real Kindle Paperwhite. 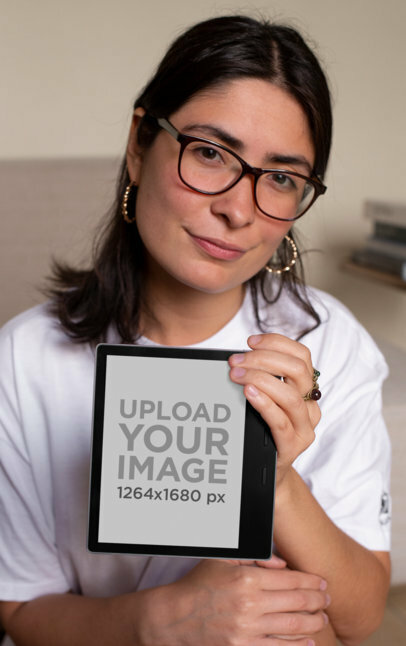 Promote your content with a photorealistic mockup from Placeit; of a woman with glasses holding a Kindle Paperwhite over a wooden table. 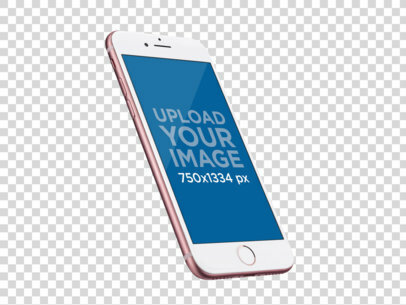 Placeit's mockups are an easy way to produce cool promotional images without the need of making a photoshoot or hiring a designer. 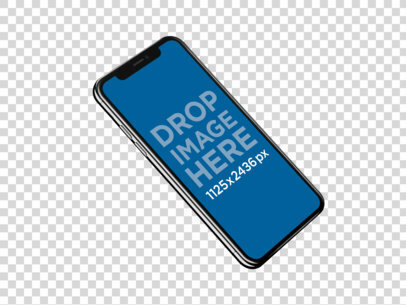 Just upload your image to place it on the mockup. Easy, right? Boost your ebook sales with attractive visuals! Customize a set of Kindle mockups and spread them all over your social media pages and POD websites. Are you ready? Try this Kindle Oasis mockup of choose your favorite from the wide variety Placeit has in stock for you. Start now and improve your marketing strategy right away! There's no better way to show off your newest ebook than on a Kindle Oasis mockup, right? Start customizing unique visuals and spread them all over your social media pages and websites, just like professional brands do. What are you waiting for? Boost your sales with eye-catching Kindle mockups by Placeit! Promote your new digital text or e-book with this Kindle Paperwhite mockup from Placeit. This picture features a woman sitting in a relaxing looking living room, with a Kindle Paperwhite in her hands. You can place an extract of your original e-book on the screen of this light device with just a few clicks. Try Placeit now, it's so very easy! 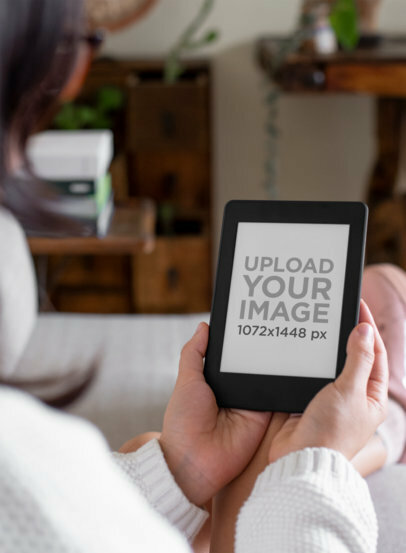 If you want to create professional-level visuals to promote your ebooks online, you should try Placeit's modern Kindle mockups! 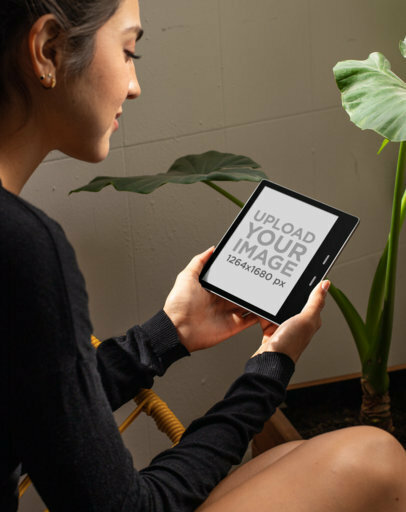 With these easy-to-use photorealistic visuals, you can put your ebook cover and show your customers what it'd be like to have your book in an actual Kindle Oasis device. Are you ready to try it? 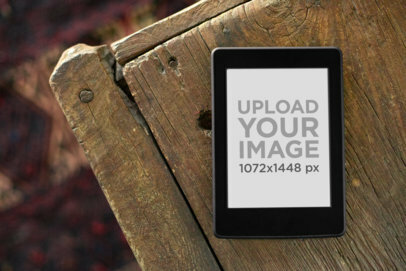 Boost your sales with Placeit's Kindle mockups today. 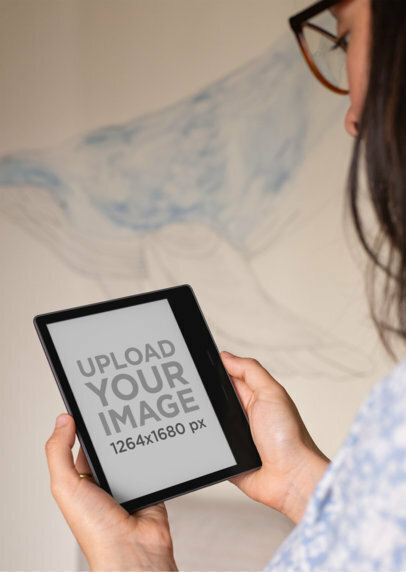 Create a true visual for your eBooks with a popular Kindle Paperwhite! Placeit has an amazing catalog of eReaders that are just waiting for you to use and customize. Your audience will fall head over heels for your Kindle mockup. Try it out, it's easy! Create your Kindle Paperwhite mockup now. Show off your eBook with Placeit's Kindle mockups! We feature an amazing collection of eReader mockups that are perfect for anyone. This one features a Kindle Oasis, one of the most popular Kindles! Just customize the setting to fit your eBook. Cool, right? Try it out now. Promote your outstanding book covers with Placeit's Kindle mockups! Show your customers how your unique designs look on an actual Kindle Oasis device. 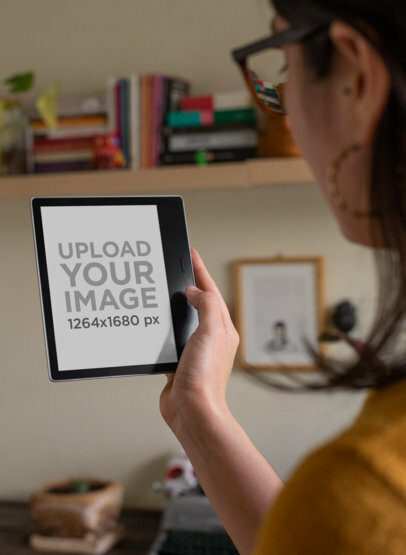 It's simple and fun, just customize your favorite mockups in a matter of minutes, like this one featuring a woman reading from a Kindle in her studio. Amazing, right? Start now and improve your marketing strategy! Show off your book covers with Placeit's eye-catching visuals! Try this Kindle Oasis mockup featuring a woman reading at her home, or choose any of Placeit's wide variety of Kindle mockups. 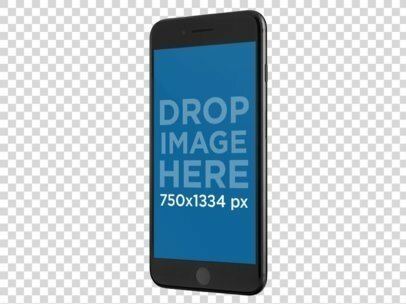 Within minutes you can have a whole unique set of attractive visuals to display on your social media pages or POD brands. Start now! Your unique book covers should be displayed in unique visuals! 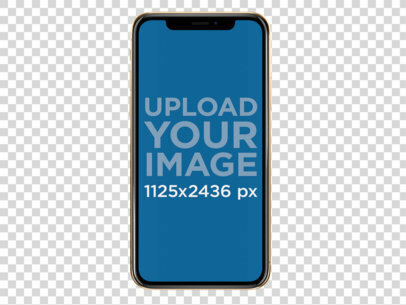 Placeit's smart mockups let you customize photorealistic visuals and upload them to your social media pages and POD websites to boost your sales. Would you like to try it? Just choose your favorite Kindle mockups and put your book covers in it, as simple as that! Improve your marketing strategy with Placeit's visuals today. Promote your ebooks with unique Kindle mockups by Placeit! Try as many mockups as you want, just like this one featuring a Kindle Oasis device, the perfect shot to display your ebook cover front and center! Are you ready to try it? Choose your favorite Kindle mockup and boost your sales today. 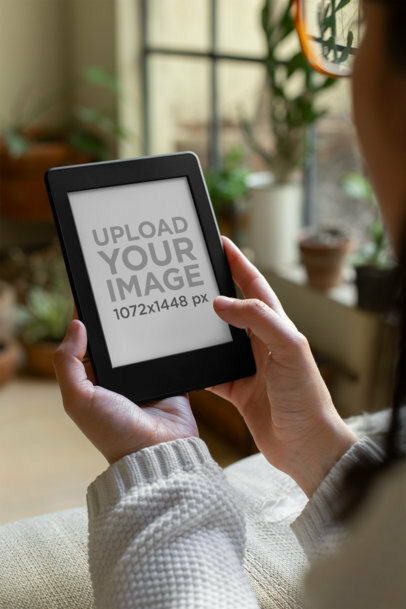 Create cool visuals to promote your ebooks with Placeit Kindle mockups! 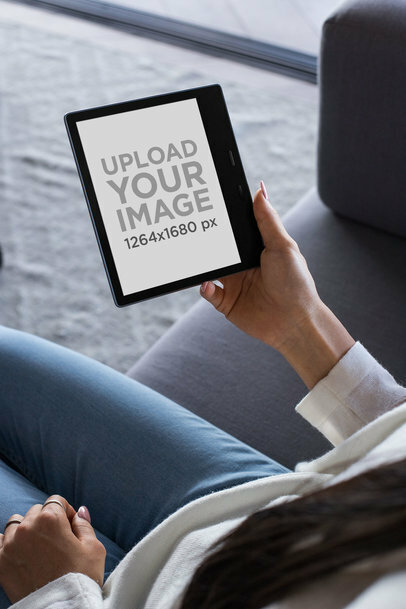 Start customizing as many visuals as you want, just like this one featuring a woman holding her Kindle Oasis, the perfect shot to display your ebook cover in a professional way. What are you waiting for? Improve your marketing strategy and boost your sales right away! Promote your beautiful eBook covers with Placeit! Your customers will have a true visual for your Kindle covers. Try it out, all you have to do is edit the settings to your liking and you have an amazing collection to choose from. Cool, right? What are you waiting for? 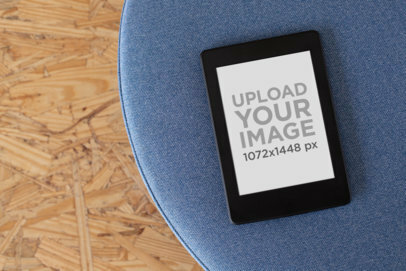 Edit your Kindle Mockup now. Start customizing unique Kindle mockups to show off your book covers online! Let your customers have a feel of your actual product. With Placeit's easy-to-use mockups, you can preview your book cover in a few minutes. Try as many Kindle mockups as you want and spread them all over your social media pages to improve your marketing strategy. Amazing, right? Start now and customize your first Kindle mockup! Looking for a modern way to promote that new e-book? Placeit's Amazon Kindle mockups are just what you've been searching for. 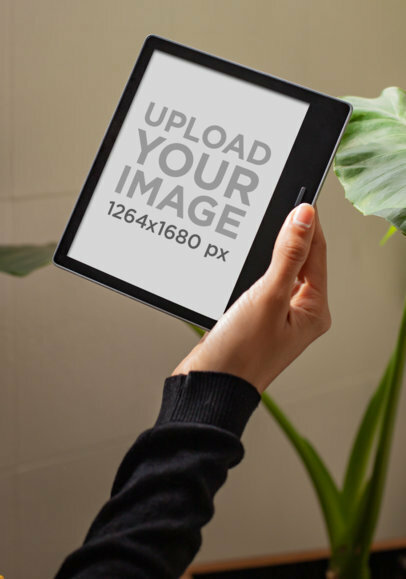 A photorealistic mockup will help see your customers just how will it be to read your digital book in their gadget. Whit Placeit's mockups you don't need to do a photoshoot nor hire a designer, you can do it all yourself online! It’s time you increase your books' sales with unique marketing visuals! 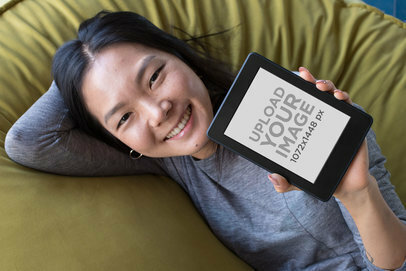 Find the perfect visuals for your books' cover designs among Placeit’s wide variety of Kindle mockups, like this one featuring a young woman at home holding her Kindle. 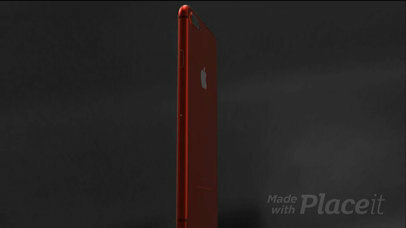 Customize it in just a few minutes and you’ll be ready to spread it everywhere online. Start now and improve your marketing strategy! Show off your amazing Book Covers on an actual Amazon Kindle! Your customers will get a feel for what your selling. 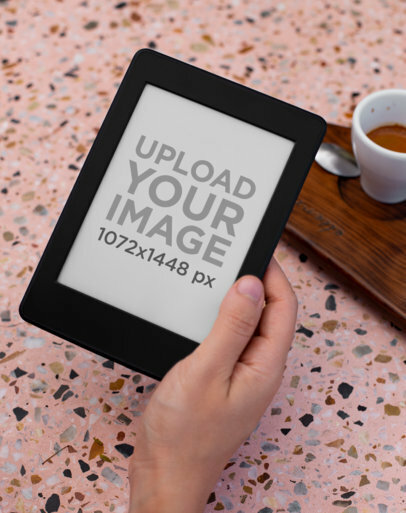 Try it out, preview your image and try out as many Kindle Mockups as you like. Your sales, views, and clicks will increase in no time. Cool, right? What are you waiting for? 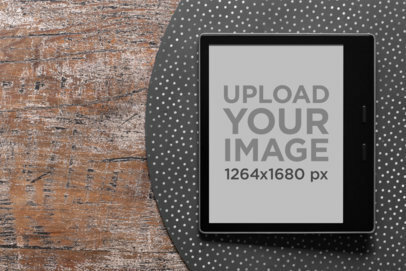 Edit your Kindle mockup now. Are you looking to promote your books with incredible mockups? Placeit got you covered! Try our Kindle mockups, like this one featuring a joyful woman lying over a big pillow. 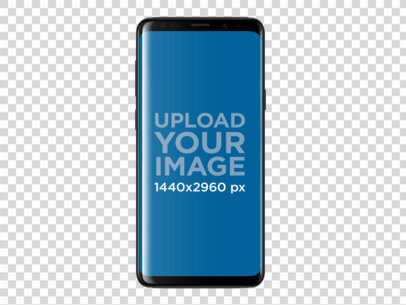 Just customize your favorite one in a few minutes and you'll be ready to post it in your social media pages or POD websites. What are you waiting for? Try it now! Looking for a way to promote your books with attractive visuals? Placeit got you covered! 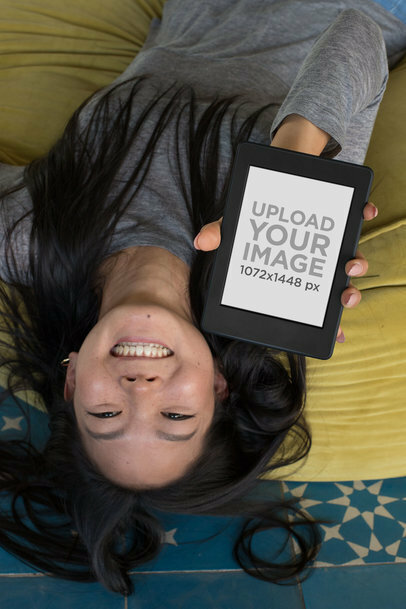 Choose your favorite Kindle mockup, like this one featuring an upside-down shot of a woman lying on a pillow. Amazing, right? Start customizing as many designs as you want and spread them all over your POD websites and social media pages. It's time you boost your books with unique Kindle mockups! Customize professional-level visuals and upload them to your social media to promote your brand. It's simple and fun! 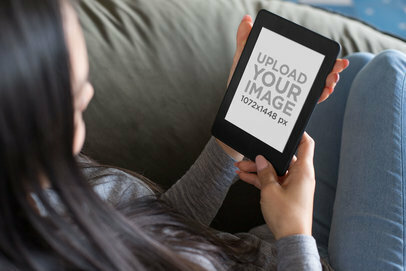 Choose your favorite Kindle mockup, like this one featuring a pretty woman on a couch. Amazing, right? Try Placeit now and improve your marketing strategy now. Boost your books' sales with dazzling Kindle mockup from Placeit! What about this one featuring a smiling woman leaning over a couch? Just place your Placeit cover on it and you'll be ready to spread it everywhere online. Try as many designs as you want and see how your book covers look like in a Kindle in a professional and modern way! 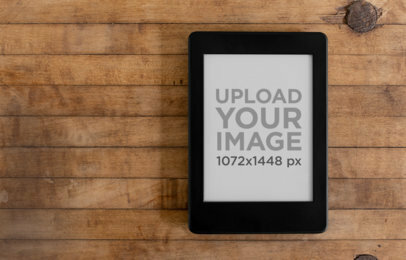 Start promoting your books with a cool kindle mockup from Placeit! Try this one featuring a Kindle Oasis displayed over a placemat. Customize it in a few minutes and improve your marketing strategy right away. What are you waiting for? 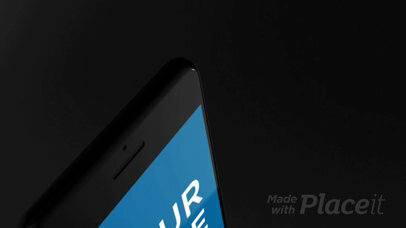 Find your favorite Kindle mockup and upload it your POD websites and social media pages. Start promoting your books in a very attractive way! Placeit's outstanding visuals are fully customizable, like this one featuring a woman resting over a couch. Just within minutes, you can have a whole new set of modern Kindle mockups to spread them anywhere online and boost your sales. What are you waiting for? Try it now! Promote your books with incredible Kindle mockups from Placeit! 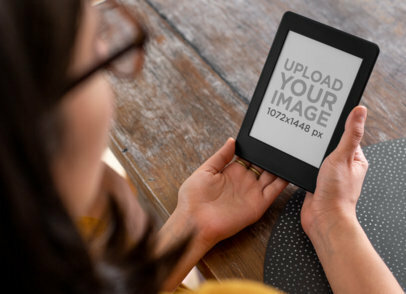 Just choose your favorite one between the wide variety of Kindle mockups, like this one featuring an over-the-shoulder shot of a girl reading her book. Amazing, right? Customize it in just a few minutes and see how your book covers look like in a kindle in a professional way! 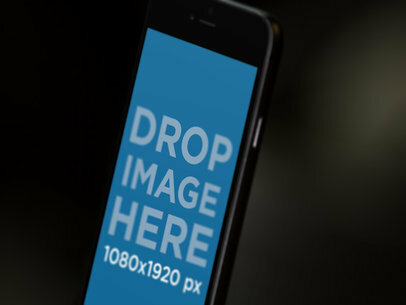 Placeit has thousands of photorealistic mockups for you to create professional looking promotional images. 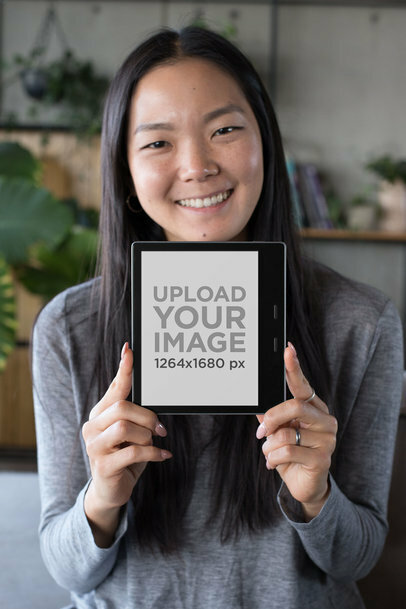 This mockup features a pretty Asian model holding a Kindle Oasis with a big smile. 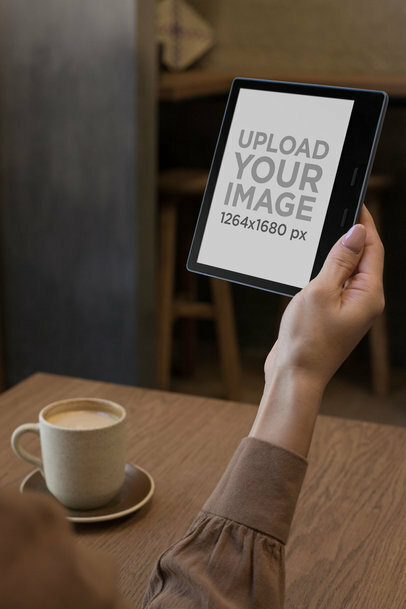 You can place a snap of your e-book or digital text on the screen of the device with just a few clicks, and use the result to promote your brand online. Try Placeit now! 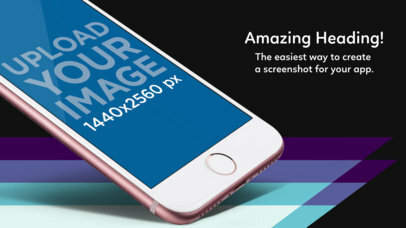 Find at Placeit the mockups you need to improve your marketing campaign and showcase your designs in a unique way! This Kindle mockup in a modern scenario is great for your newest book covers. 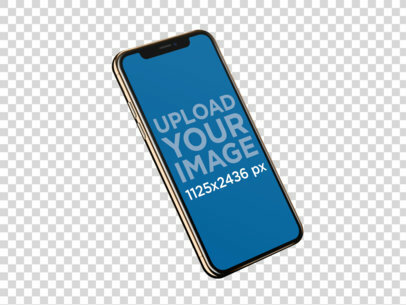 Customize this mockup in no time! Promote your book cover and attract more customers now! Start promoting your book with eye-catching visuals! 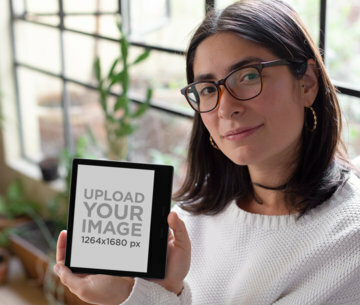 With Placeit's Kindle mockups, you can customize your favorite ones, like this one featuring the hand of a woman and a table with a coffee mug. The perfect shot to showcase your books in a warmth way. 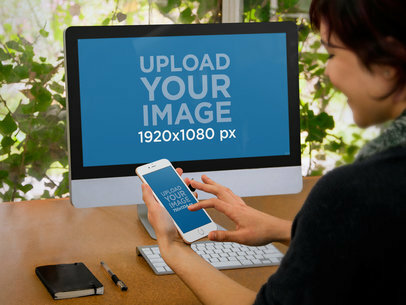 Try it now and build your set of unique visuals to spread them in your social media pages!